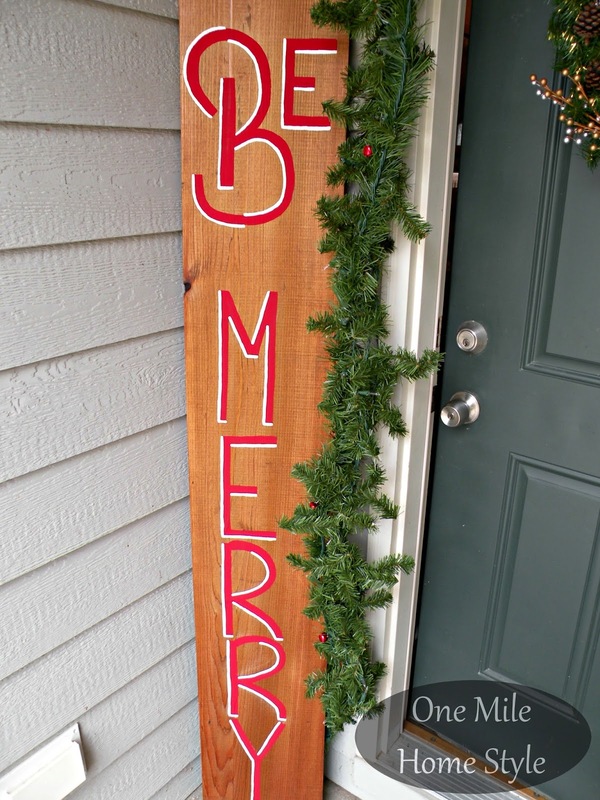 During my Christmas Home Tour you got a glimpse of my new "Be Merry" sign that greets our guests at the front door. I was able to complete this project for under $10! How is that for a big impact project for a little price?! 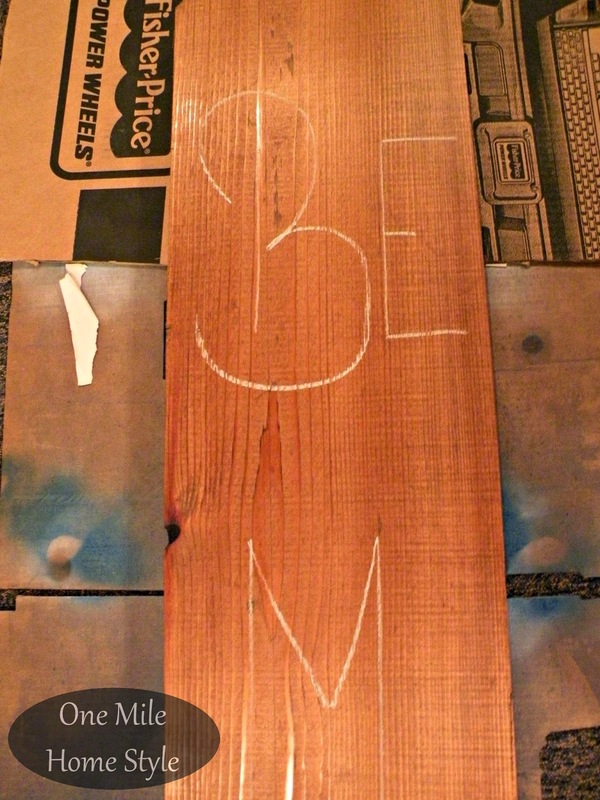 The only thing I purchased was the cedar 1x12 (find them in the fencing section of your local home construction/hardware store), I already had the stain and paint on hand. I gave the entire piece a coat of stain in my favorite finish, Minwax Special Walnut, and let it sit for a couple of days to fully dry. My trick for laying out my wording is to draw it all out with chalk first and then paint right over it. 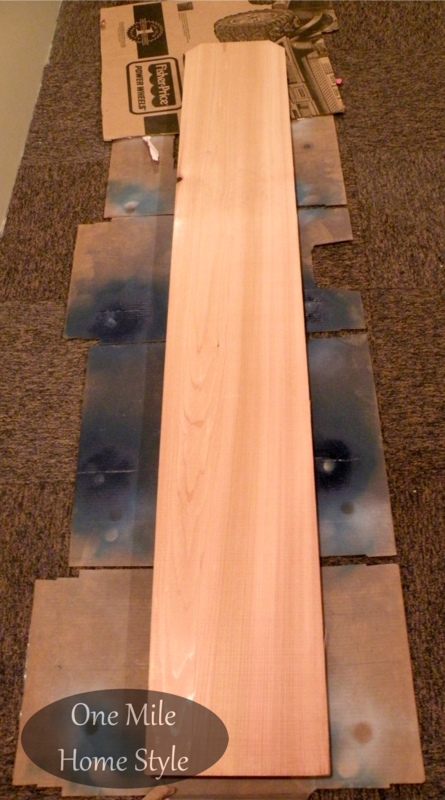 That way, if my spacing is off, or I don't like the layout, all I have to do is wipe it off and start over. Once I was happy with the look, it was time to paint! I did two of coats of red to get a little more coverage in the lettering, and then I outlined the letters in bright white to give a them a little more definition. I love this fun statement piece! 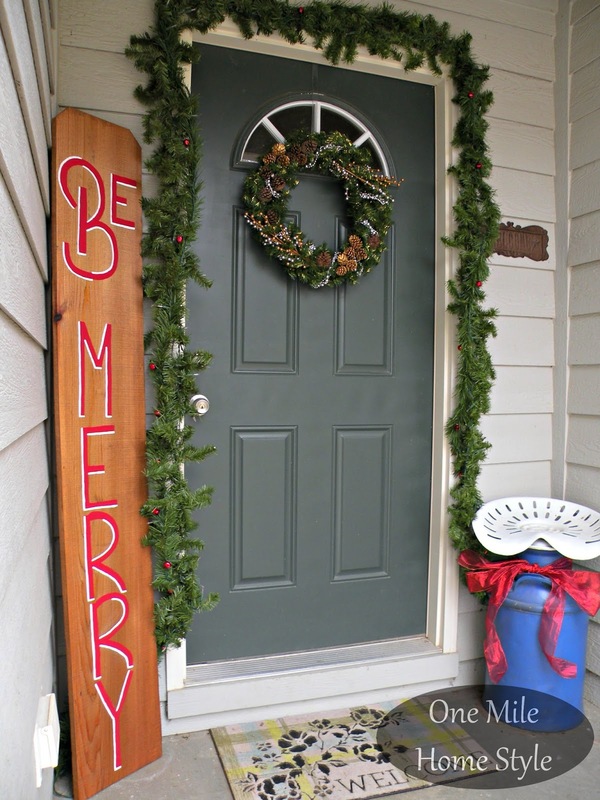 For just a little time and money, you can make big statement at your front door too! The chalk lettering tip is amazing! I will do this every time from now on. Visiting today from the Kansas Women Bloggers Sunday Link-Up -- thanks for joining in! Awesome! Putting this on my project list.